Caring for your family is an important part of your life. You always have to make sure that your loved ones are happy and properly taken care of. This holds true especially for children and the elderly. With kids, you hire nannies or babysitters to care for them while you are busy at work or have to be somewhere for the night. But when it comes to the elderly, you need more than daily help with naps and snacks — you need professionals and choosing one is not as easy as checking the yellow pages. Hiring the right caregiver can be stressful but with these few helpful and practical pointers, the ordeal might become less challenging. 1. Make your own elderly’s needs known. When hiring the right caregiver, do not just settle for the fact that such person has prior experience with other elderly people. Instead, ask if he or she is up to the task of caring for your own elderly. The needs of other people may not be the same as your ailing mother’s so it is best that you determine if this potential caregiver has the necessary qualities and qualifications to adequately provide support and assistance to your own family. 2. Other skills are important as well. It is not sufficient that your caregiver knows how to cook or clean up around the house. More than that, he or she should be able to drive your elderly to and from your house and other places. It is very common that he or she may need to go to the doctor’s clinic for an important appointment or to the community center for a weekday afternoon. The caregiver’s social skills are essential as well. If he or she does a good job in preparing the food, medicines, and sponge bath for your elderly but they do not get along, the whole setup would be useless. To avoid this from happening, find someone whom your family member will be at ease with. 3. Always verify necessary information. It is not rude to do a background check on every applicant. As a matter of fact, it is necessary for your family’s safety. Ask for police clearances and previous employee references when you interview a candidate and verify these pieces of information. 4. Your elderly’s opinion matters. While you are in charge of searching for the perfect caregiver for your family members, it does not mean, however, that you should leave your elderly out of the application process. If possible, let your elderly sit through the interviews so he or she can observe his or her potential caregiver. If your elderly has strong opinions about hiring or ignoring an applicant, be sure to listen to these. If he or she is not comfortable with that particular caregiver, do not insist on your choice. It is your elderly’s convenience and comfort which should be the primary consideration in hiring the right caregiver. Hiring the right caregiver is a crucial task that one must go through. The process can be very tedious but at the end of the day, you should remember that the comfort and safety of your loved one is what really matters. It happens sooner or later: your parents grow old and you become responsible for them when once they had been responsible for you and part of that responsibility may include the difficult decision of seeking outside help once you have acknowledged that you are ill-equipped to provide the specialized care and attention that they need in their golden years. Keep your relationship alive and well by visiting as often as you can, even if you no longer live together. You would also be on hand should a medical emergency arise. This will also give you the opportunity to check out the operations of the housing facility as often as you like, and determine whether it truly is working as you expected. Obviously, this will be easier to do if the location of the housing facility is near enough to your place of residence; thus, allowing for easy and frequent visits. On the other hand, if you reside several states away from the hometown of your loved one, they may prefer a more familiar location. Moving them to an entirely different locale, with different people and a different climate and environment, can do more harm than good. Discuss the pros and cons with your family, and don’t make a decision unless you feel very comfortable with it. This is especially important if your loved one suffers from a condition that requires specific care. Will the senior housing facility have well-trained staff who also have experience in handling this kind of condition? Do they have the proper equipment and medicines when needed, round the clock? Don’t hesitate to ask around and inquire about the staff’s professional experience and their availability. Be as careful and discerning as you would be if you were choosing your own doctor. Be sure to make an informed decision, and don’t be afraid to trust your instincts. Will there be enough mental and physical stimulation so that your loved one can adequately enjoy himself? Is there a safe and clean environment where they can walk around, play light sports, or socialize? Does your loved one still retain a sense of privacy and solitude in his new living arrangements? Does he have access to quality entertainment of the type which you know he will surely enjoy? Make sure that your decision on choosing reliable senior housing promotes their physical, mental and emotional well-being, which in itself can help minimize their health and medical complaints. If you’re having difficulty in choosing between two equally reliable senior housing options, why don’t you ask your loved one what they think? They will, after all, be the ones who will live there, and it is always advisable to keep your communication lines open and healthy. They may have peculiar quirks, insights or preferences that can spell the difference between a good and comfortable retirement, as opposed to an uncomfortable and troubled one. There are times when people who are dedicated in helping patients cope with Alzheimer’s will feel frustrated and confused. Dealing with a person who has Alzheimer’s disease is never easy. The job gets harder when the illness gets worse. So, what should you do? People with AD have trouble remembering things so it can be tough to communicate with them. They easily forget what they want to say. They also have problems in understanding some words. When the conversation takes longer, it will be hard for them to stay focused. The first thing that you can do is to understand how AD affects the person’s memory. Then, try to make the communication less complicated. Make it easier for the person to understand what you are talking about. Maintain eye contact and call him by name while talking to keep the person’s attention. Observe your tone and pitch while speaking to the patient. You must be aware of the way you look at the person. Make sure that your body language is appropriate. If you fold your arms tightly, the person with AD may think that you are angry or tense. Always encourage the person with AD to talk as much as he can. Expressing his thoughts will make him feel good about himself. You may also touch the person’s shoulder gently to make him feel more comfortable with you. Helping patients cope with Alzheimer’s is not always serious. Try to engage the person in fun activities to distract his mind from communication problems. During the early stages of memory loss, the patient is informed of the changes he should expect. The doctor tells the patient how AD can affect his mind. Make the patient feel better by listening carefully to what he says. Let the person express his feelings and thoughts about the changes that he is experiencing. Take note of the person’s words and see if there are lapses in his speech. Be sensitive to the person’s feelings. Don’t correct him every time he says something weird or every time he commits a mistake. Don’t embarrass the person if he forgets something. Be mindful of the struggle he is dealing with. It is hard to be the one to take care of someone who is diagnosed with AD, but it is harder to be the person who has AD. Increase your patience when the person is struggling to find the right words to say. Try to help him express his feelings. Encourage him to elaborate his sentences by repeating his words and adding more information. On the other hand, do not be too quick in filling in the person’s speech. Allow the AD patient to finish his sentences before you think of the more appropriate terms to use. Lastly, you have always to observe the changes that you see about the patient. In helping patients cope with Alzheimer’s, it is necessary to understand their behavior and deal with it properly. Dementia is an illness characterized by gradual decline of the brain’s abilities, thus affecting the normal activities of the person. The extreme result of this mental affliction is total memory loss. During the initial stages of dementia, the inability to think clearly and forgetfulness are symptoms that should be taken seriously. This condition affects not just the person who has it but the people around him as well, especially his family. Dementia was once referred to as senility or normal aging process where the optimal functions of brain decline. However, studies show that dementia is more than senility. It is a debilitating condition that causes severe damage in the brain which results in permanent loss of its functions. Diseases – There are diseases that contribute to the degeneration and death of brain cells. Alzheimer’s disease accounts to 8o% of dementia cases. Diabetes Mellitus is another disease that is associated with dementia. Stroke – It can cause Vascular Dementia. It happens when the brain’s oxygen supply is interrupted abruptly during the stroke and damaged the healthy brain cells. Lewy bodies – They are small, circular protein lumps that are formed inside the brain cells. How they are build up is still unknown but these lumps affect the neurotransmitters chemicals of the brain known as acetylcholine and dopamine. These chemicals play vital roles in the memory, mood, attention and learning abilities of the brain. The abnormal protein formation affects the ability of the brain to do its normal functions affecting physical abilities. The most serious disease that this condition brings is Parkinson’s. Atherosclerosis – It is known as small vessel disease. It is common among people who suffer from Type 1 diabetes and high blood pressure. It is also the disease of most smokers. It develops when blood vessels in the brain become narrow and hard, preventing blood supply to flow normally. When blood vessels harden, fatty deposits are developed, which then causes this condition. High Cholesterol – Abnormal or high-level of bad cholesterol (LDL) increases the risk of getting dementia. Homocysteine – It is an amino acid that flows in the blood and is associated with protein build-up. Abundance of this acid can lead to dementia. Psychological disorders – Because of lack of regular activities that stimulate cognitive functioning of the brain. Another factor is social isolation which leads to depression. Genetic factors like age and family genes – As people age, the risk of getting dementia increases. Sometimes, dementia runs in the family because of certain gene mutations bring this condition. Head injury – Sudden impact and severe damage in the brain can cause dementia. Brain tumors – Lumps in the brain can cause partial to total damage to its healthy cells. Long-term alcohol consumption – Drinking a large amount of alcohol regularly can increase the risk of dementia. Smoking – Studies show that smokers are at risk of early mental decline and dementia. Rare cases of dementia like neurodegenerative dementia are caused by corticobasal denegeneration, progressive supranuclear palsy, Huntington’s disease and corticol atrophy. 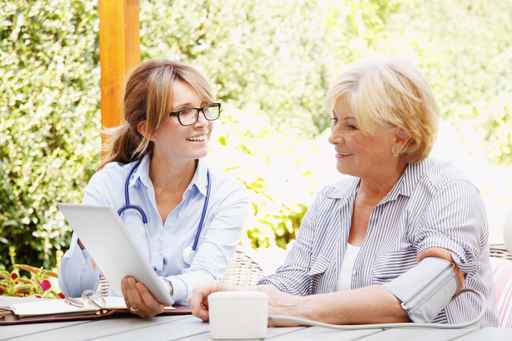 How to be an Effective Caregiver? Growing old is an inevitable aspect of life. However, many seniors face the struggles of living alone since most of their children have moved out and started their own families. Therefore, most old people face psychological problems because of having been left behind by loved ones. Most also have problems dealing with running errands and other daily physical activities due to their old age. That is not always the case as many seniors hire the professional service of caregivers to help them out with their day-to-day needs. Caregivers can work part-time or full-time depending on the senior’s needs. 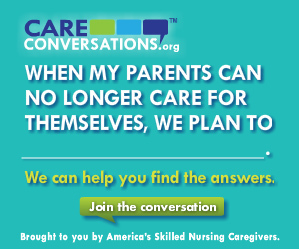 Around 40 – 60 million people in the US are considered to be caregivers. Any of the family members, neighbors and paid home care workers can be considered as caregivers. An effective caregiver sees to it that seniors receive proper care such as giving them medicines on time, monitoring their blood pressure and doing other physical work on their behalf. Providing care and support to seniors can be a rewarding experience as the caregiver and the elder often form a special kind of bond, which is cited by many caregivers as one of the reasons why they stay on the job. 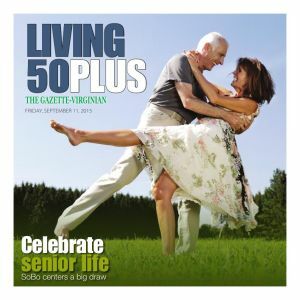 This article will discuss some of the ways on how to be an effective caregiver. To be an effective caregiver, you need to take good care of yourself first. Being in an unhealthy state will only render you ineffective in carrying out your duties. You need to follow a balanced diet, get enough sleep and do regular exercises. You can lessen the fatigue from work by leading a healthy lifestyle. Caregivers usually experience fatigue and burnout when caring for seniors especially those suffering from chronic and debilitating medical conditions. Therefore, you may need to step back from work and relieve some stress. You can take a quick vacation to recover from all the stress and fatigue. You can go to the spa and give yourself the much-needed pampering, or you can go out with your friends on a Friday night. You can also take a hiking trip or just stay at home and watch movies. You can also take up a new hobby or whatever makes you relieve stress. If you find yourself doing something important, you can ask a friend or any of the family member to take over for you temporarily. 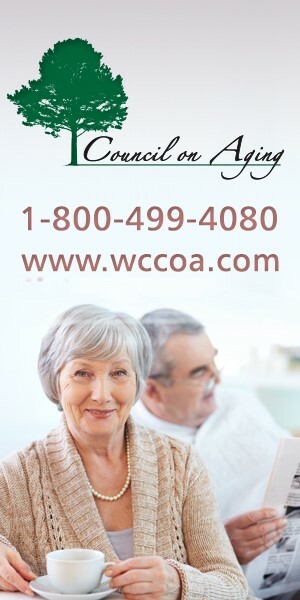 You can also get in touch with community resources that deal with providing care for seniors to send someone out to act temporarily as the senior’s caregiver. Some local facilities also provide home health care services. The National Family Caregiver Support Program and other elderly support agencies are also responsible for providing care to the elderly. They can help you out in terms of proper caregiver education and training. There are instances wherein the family members leave all the decision-making to the caregiver’s hands since most of them are leading a hectic life. 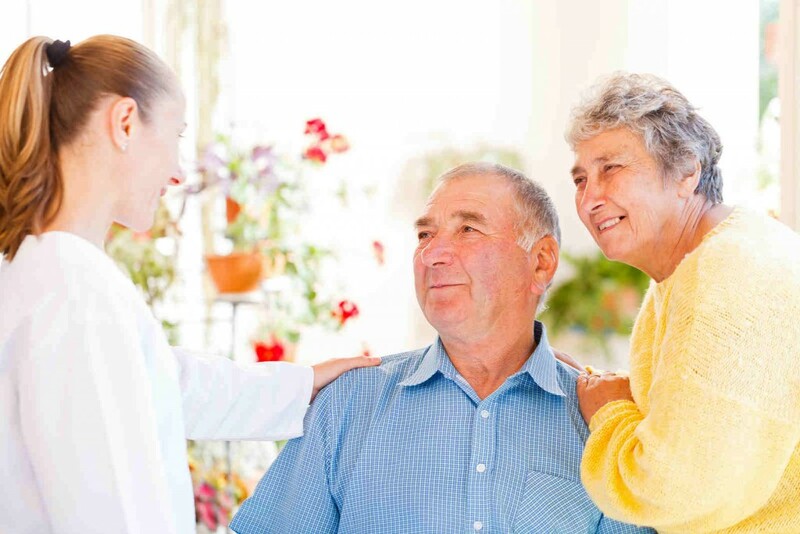 However, the best approach when providing care to seniors is to communicate with one or more members of the family regarding their expectations and decisions of care. Setting up a regular meeting and getting input from everyone is always the best approach. Getting the family members’ participation can help ease the burden and make things a lot easier. Caregiving is both a rewarding and stressful job. Therefore, you need to know how to become an effective caregiver. The elderly population is expected to triple or quadruple in number in the next three decades. Caregivers need to take pride in what they are doing. Love and compassion are the primary things that are important in this profession.